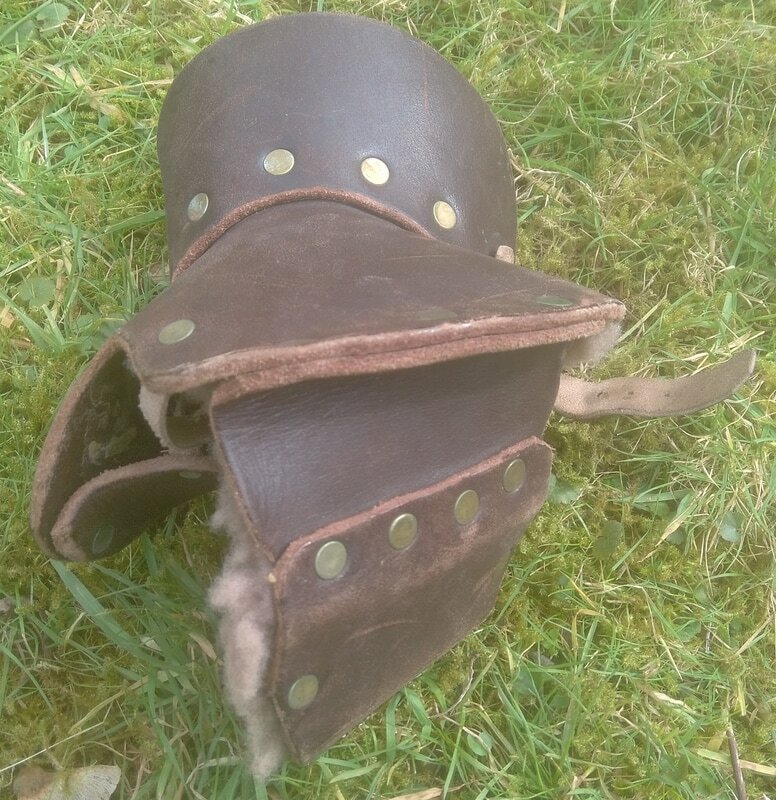 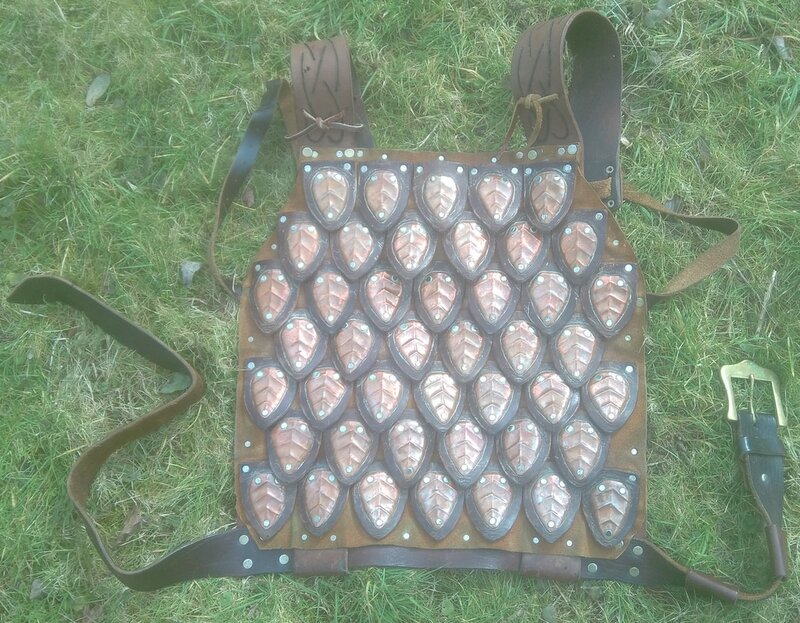 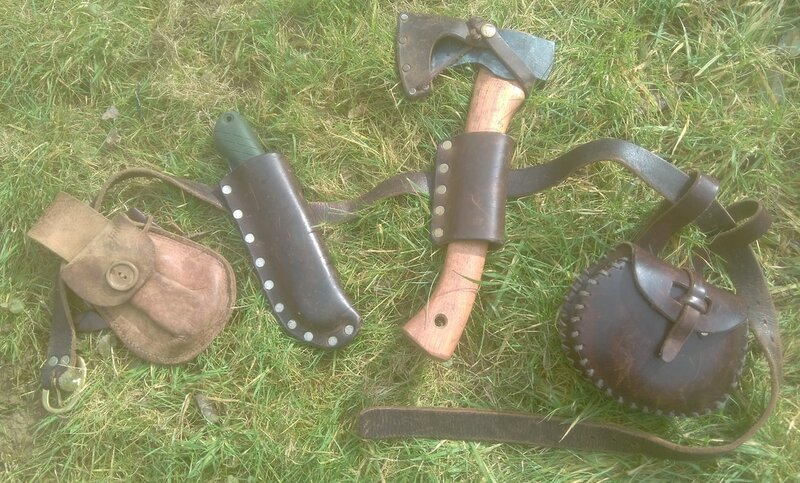 We are lucky to have Mark Gilbert, who runs Riddle of Steel Medieval Sword Fighting, join us for our camp this year to share the joys of leatherwork. 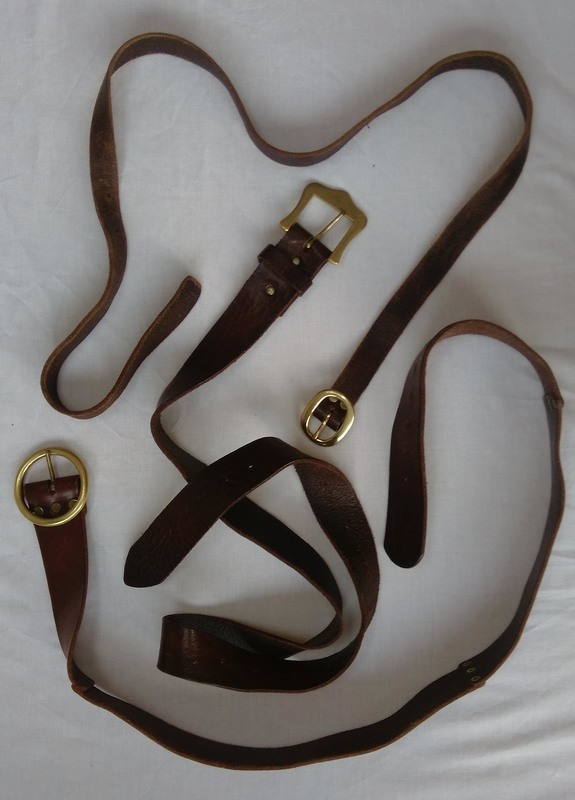 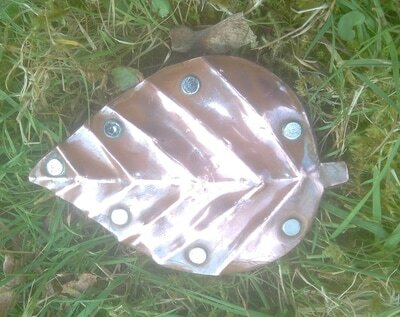 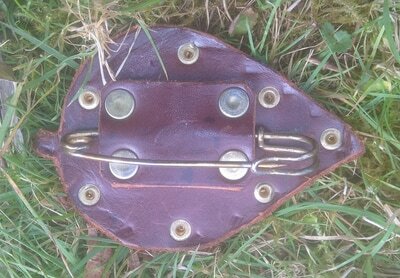 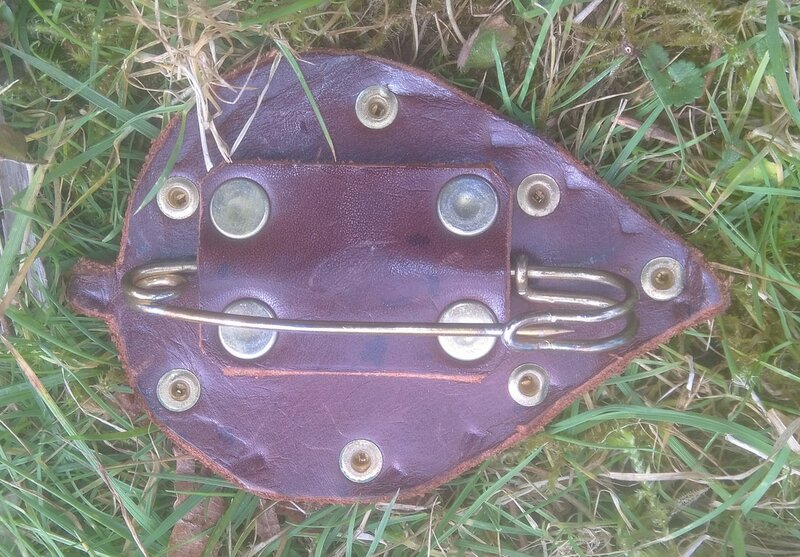 As you can see from some of Mark's pictures below, there are a range of possible projects including bags, belts and belt attachments for folding saws, hatchet and so on. 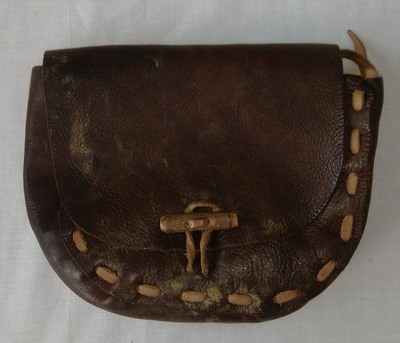 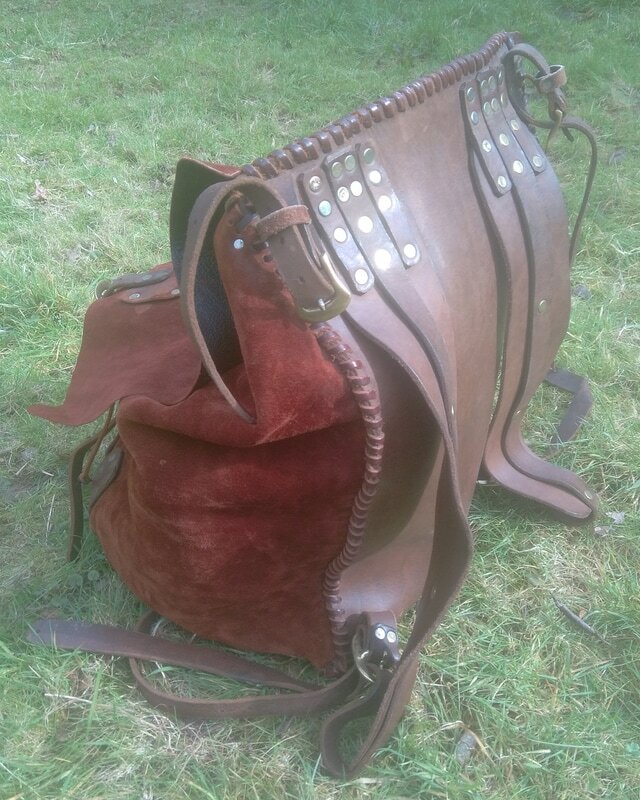 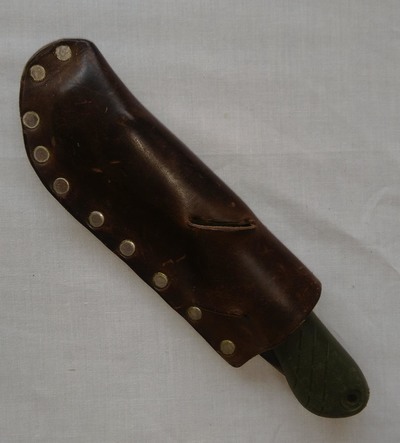 If you are one of those signing up to do leatherwork as your primary craft we recommend you also scout out at a car boot sale or charity shop for any leather that takes your fancy. 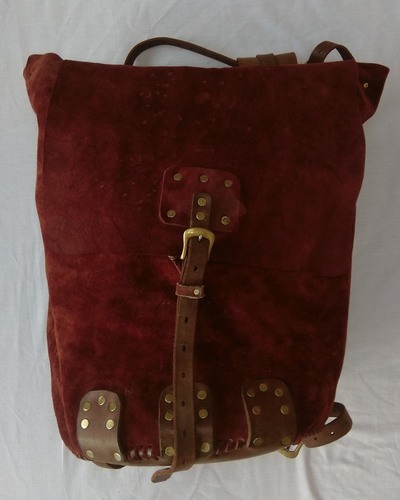 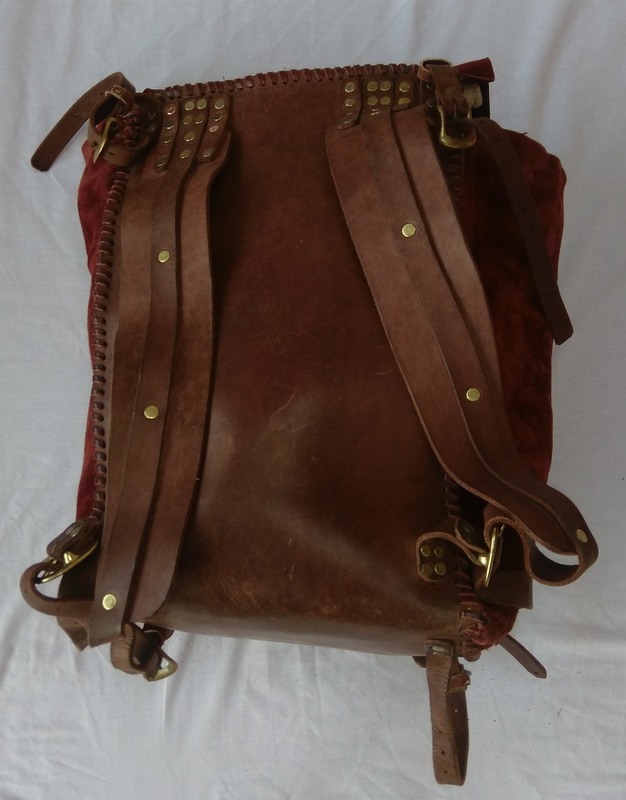 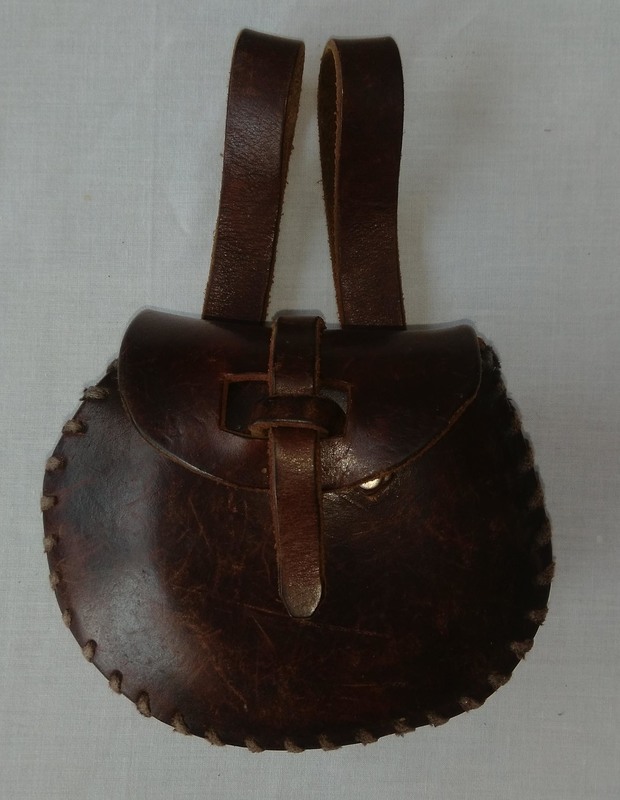 Although we will provide some leather (especially thicker materials for belts), people can be quite particular as to what they like when it comes to leather bags and such like.